KISA phone is the ultimate simple phone! The KISA phone is equipped with GPS capability to allow you to locate your phone or your loved ones with our easy to use location service. This is a great feature to have in case you misplaced your phone or accidentally left it at a shop – our map will show you where it is. This feature will also give you a greater peace of mind with your loved one. 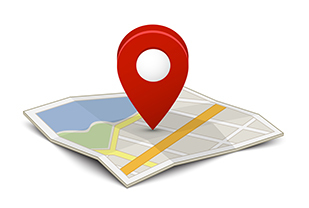 As long as they have their KISA phone, you can look up their location at any time using our website. 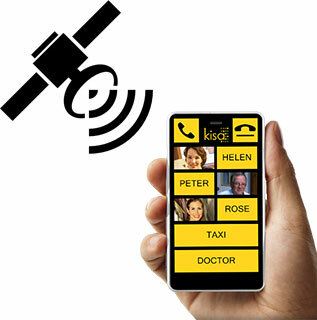 The GPS service is only $15 per month and mobile data is included on KISA plans. We believe it is a great feature to have for your peace of mind, so we decided to offer you the first month free of charge with the purchase of your new KISA phone. The last known locations of the KISA phone will be shown on an easy to use Google maps interface. Being a parent or carer of an elderly person or someone with a disability comes with many challenges, with one of the toughest is to make sure they are safe and sound when you are not around. Fortunately long walks, school trip or other daily activities need not be a source of worry for care takers and family members, with KISA GPS services you can always keep track of your loved ones. Every KISA phone is equipped with GPS technology that helps you keep track of their day without being too invasive giving you the peace of mind that every parent or carer dreams of. © 2014-2019 Kisa Pty Ltd. All Rights Reserved.